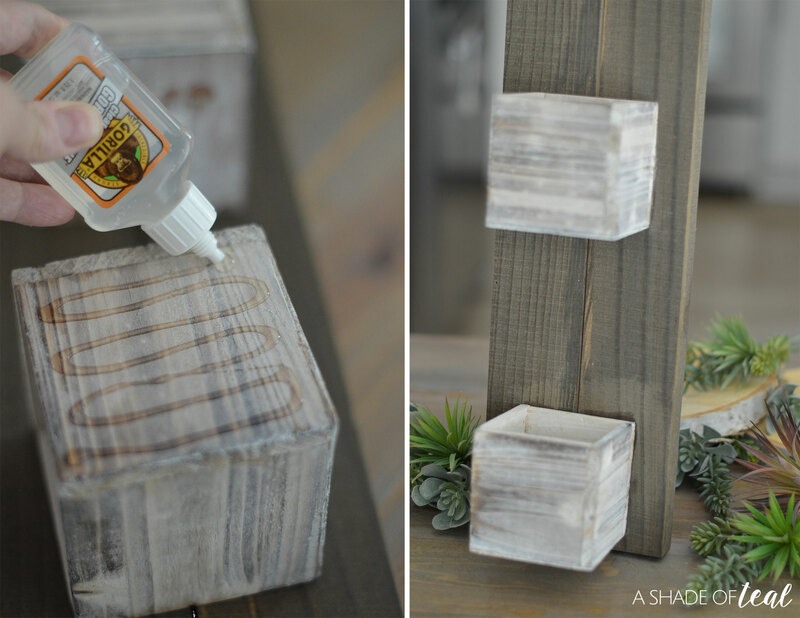 I love a good DIY craft, and when it’s a quick & easy project it’s that much better! My most recent craft was such a fun project that took no time at all to make. Plus, it’s a perfect way to introduce Spring into your home. 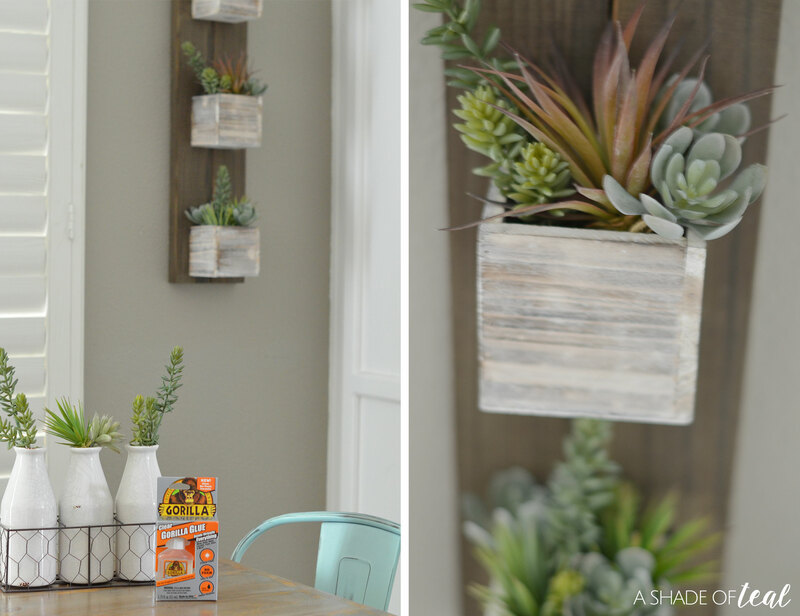 Read on to see how I made a hanging succulent planter using Clear Gorilla Glue®. With Spring here, I’m all about bringing plants into my home. But, I’m not going to lie, I struggle keeping them alive! So my best friend when it comes to decorating is faux plants, especially succulents. 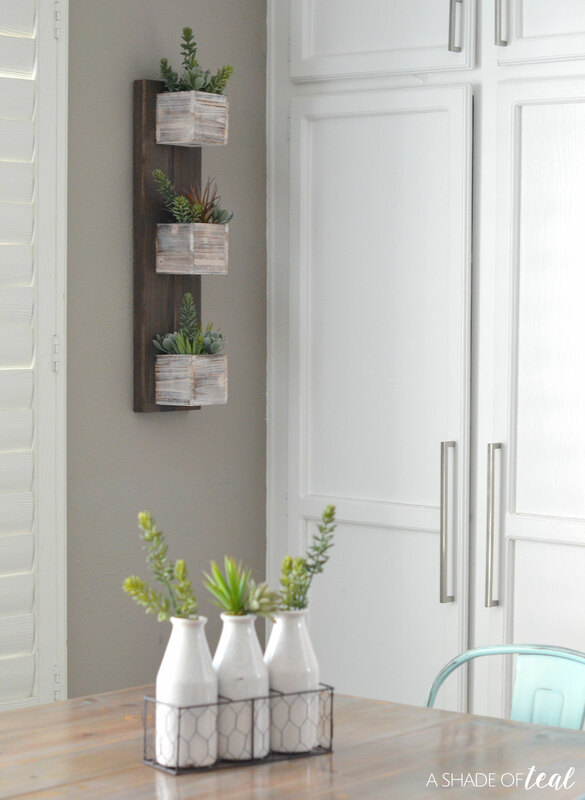 If you’re like me and don’t have the greenest thumb then you’ll love my faux succulent hanging planter. Succulents may be the easiest plants to take care of but of course I someone manage to kill them. Wood pallet, board, or pre-made wood sign. I found mine at the craft store and it was pre-made and ready for paint or stain. 4″x 4″ cube mini wood boxes. Again, found at the craft store. Clear Gorilla Glue®. 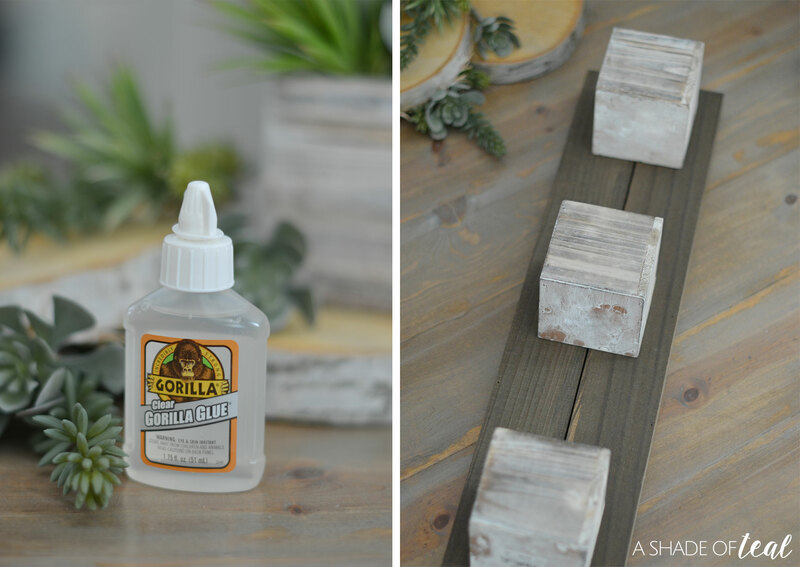 The Clear Gorilla Glue was perfect for this quick DIY project since it doesn’t foam or expand as it cures. So there was no need to worry about keeping the excess glue clean as it dries. Step 1: gather all your supplies including the Clear Gorilla Glue®. 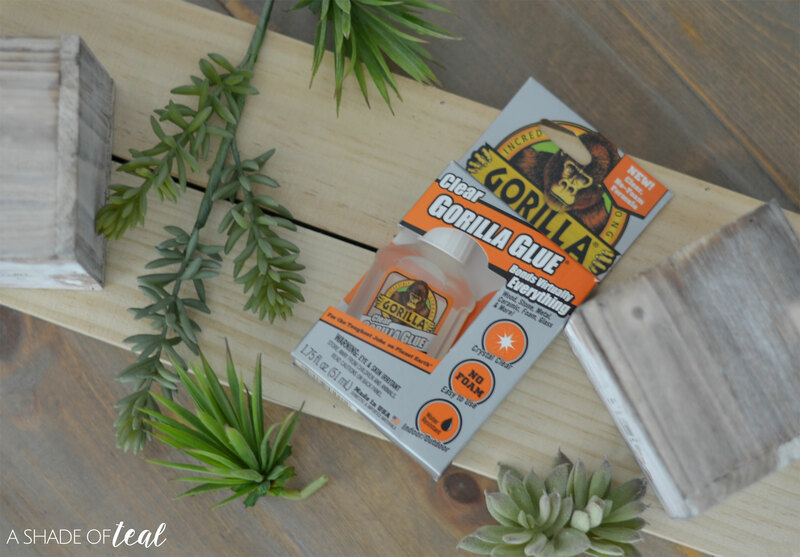 You’ll love using this glue since it bonds to virtually everything: Wood, Stone, Metal, Ceramic, Foam, Glass & More! Plus, you don’t have to worry about overspill since the glue dries clear. Step 2: take your wood board then stain or paint to your liking. Do the same with the mini wood boxes. Step 3: place the mini wood boxes where you want them to lay on the board. Step 4: add the Clear Gorilla Glue® to the boxes then adhere them to the board. You’ll want to place a heavy object on them and fully let the glue cure. Step 5: Let the glue dry! You can see above the glue spilled out from under the box when it was first placed onto the board, but since I used Clear Gorilla Glue® it dried completely clear! Step 6: my boxes came with plant liners so I went ahead and filled them with moss. 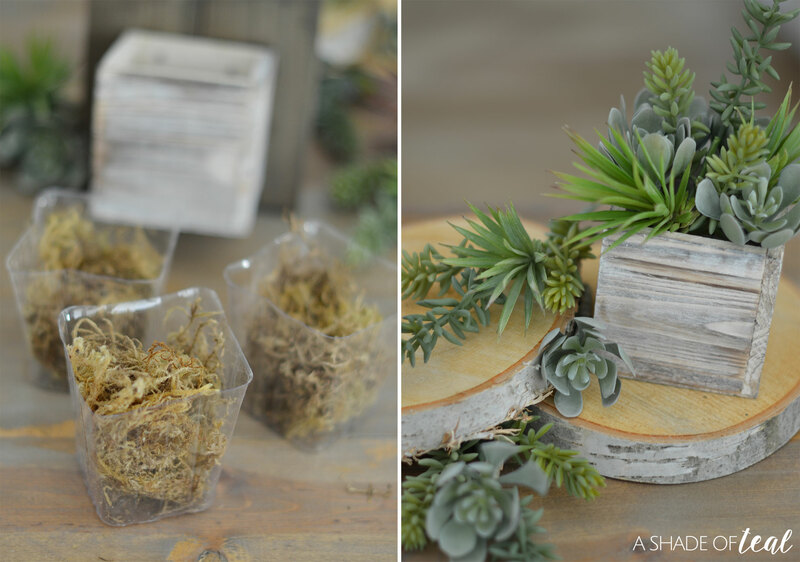 Step 7: add and arrange the faux succulents as you like. Step 8: once the glue is completely dry go ahead and insert the plants into the boxes and you’re ready to hang the entire thing up! Isn’t this such a great DIY! I love how it turned out, plus it took no time or effort to get it done. 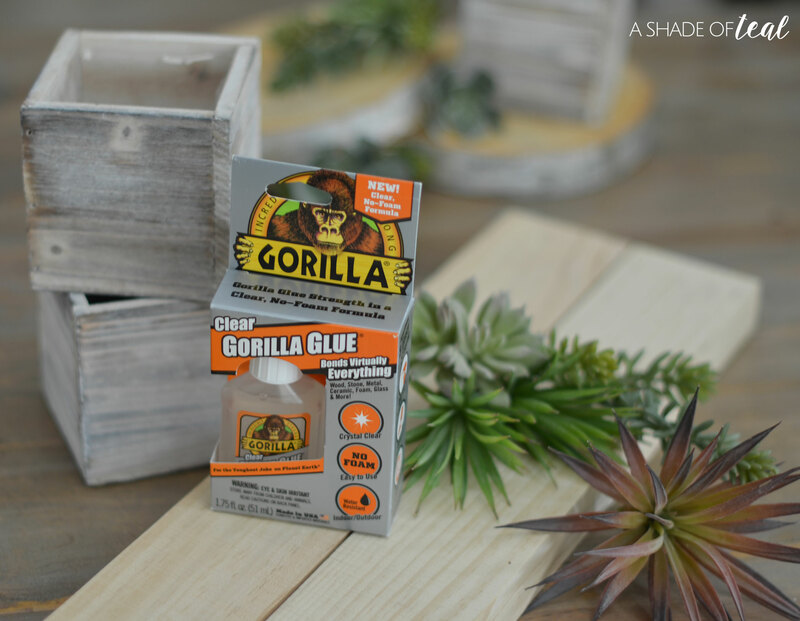 If you want to make this a live planter you can still do that, since the Clear Gorilla Glue® is water resistant and incredibly strong. Make sure you enter here for a chance to win a $250 Visa Gift Card giveaway. 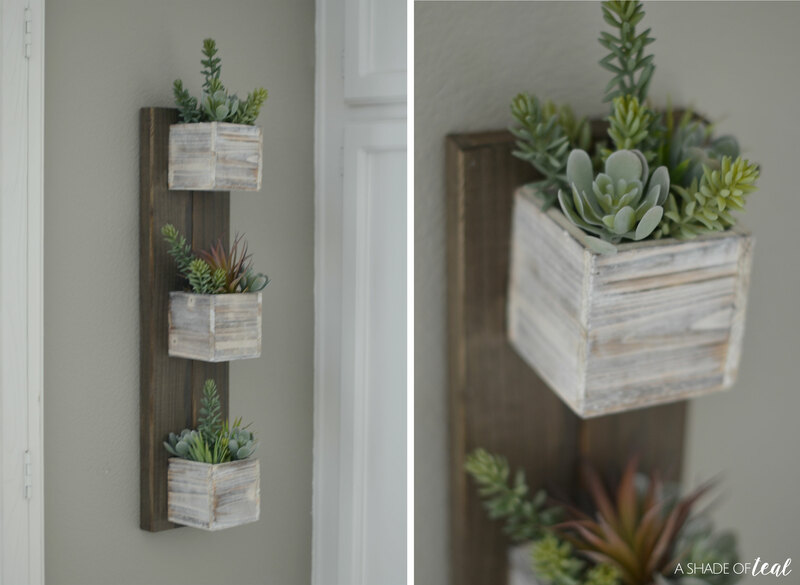 Happy Spring, and hope you enjoy making this Quick & Easy Hanging Succulent Planter as much as I did! « Spring Home Updates, Fixing a Leaky Faucet! 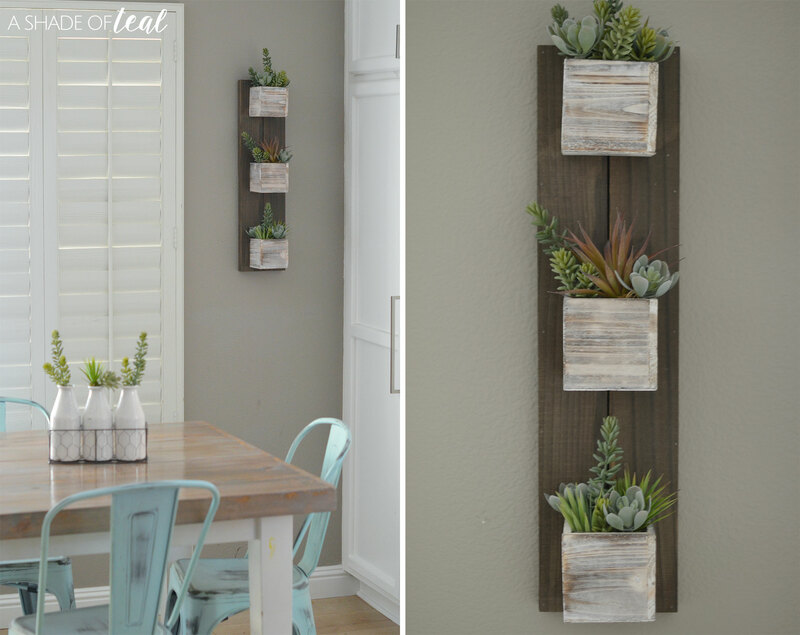 Thanks for this easy DIY idea, I love succulents so this is right up my alley.